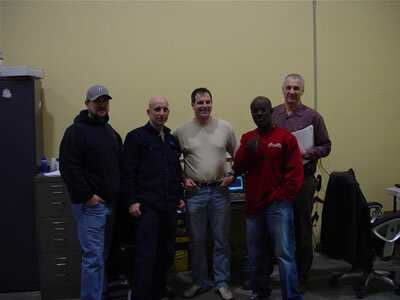 Bakos has been the leader in Ultrasonic inspection in the woodlands region for many years; we currently have qualified personnel in all types of UT from Basic 0o corrosion surveys to in-depth flaw detection. 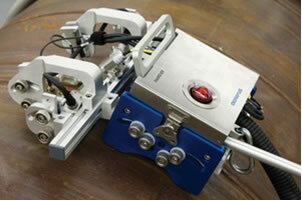 We employ the latest technologies such as Phased Array, Time Of Flight Defraction, Automated UT and Shearwave. We are able to supply the industry with cutting edge Ultrasonic technology with the procedures and experience to match. 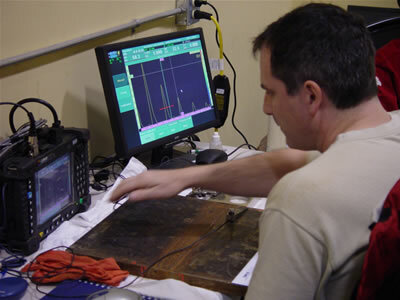 AUT (automated ultrasonic testing) uses mechanized scanners that are computer controlledto move transducers over the surface of the material being inspected. 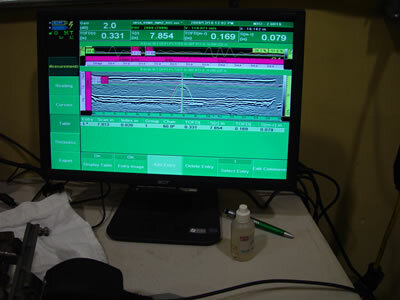 As the transducer moves, the computerized system acquires ultrasonic inspection data on a predefined grid, often acquiring data from a number of different transducers at one time. 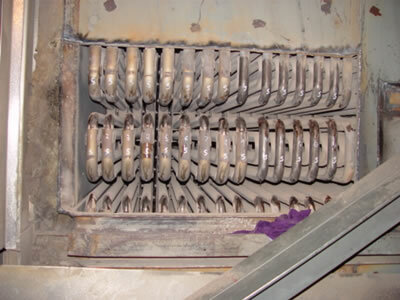 The data is then displayed within the computerized interface, allowing the operator to manipulate it to provide the data displays that show the areas of interest within the inspection volume. AUT can utilize any ultrasonic transducer or technique that is in operation, examples of which are conventional ultrasonic transducers, TOFD, phased array transducers, or any combination of these. 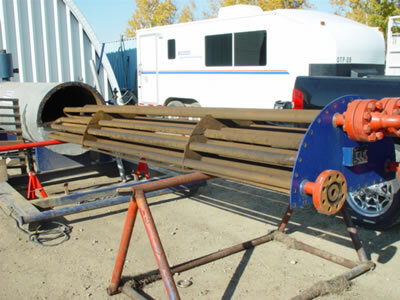 AUT inspection can be used for inspection of newly fabricated welds in lieu of radiography, and also for in-service inspection to detect and trend flaws. NOTE: Bakos will gladly demonstrate any of its services. Bakos (NDT) Inspection (1989) Ltd.